Good fence installation services can be hard to come by. 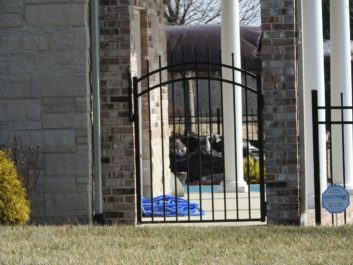 While most fencing contractors in the O’Fallon, Illinois area claim they offer premium, lasting products, good service, and a quality fence installation, few companies actually deliver. Chesley Fence & Deck is different. We are proud to be the name trusted most by area residents for fencing since 1967. In fact, we have installed more fencing than any other company in the region, proving our experience and dependability. We have the expertise to help customers choose the best fencing for their yard and install it with exacting precision so that it performs at its best year after year. We offer customers three top-of-the-line fencing options to choose from, including Western Red Cedar, vinyl, and aluminum fencing. We provide exceptional warranties on all our fencing products, including a lifetime warranty on all aluminum and vinyl products, and we even offer a three-year warranty on all labor. 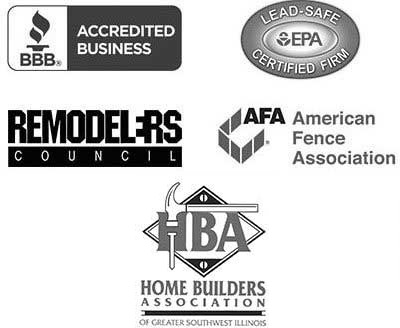 Additionally, at Chelsey Fence & Deck, we boast an A+ rating with the Better Business Bureau, which we continue to maintain thanks to our commitment to providing the highest quality products and settling for nothing less than complete customer satisfaction. To hire the fence installation experts at Chesley Fence & Deck, contact us today. We proudly serve all residents of O’Fallon, IL area nearby cites.